2nd Lieutenant Alfred Peel, 6th Battalion, Royal Berkshire Regiment. Alfred was born in Leyland, Lancashire, on 27 January 1895 the second son of the Revd J. Edward Peel, a Wesleyan Methodist minister, and his wife Laura Jessie (née Hill). Alfred had an elder brother Edward Percy (known as Percy) who was born in 1893. Tragedy struck the family in 1898 when Laura died aged only 30. In 1900 Edward remarried to Catherine Hannah Mann, who became ‘mother’ to his two young sons and gave birth to two more sons, Cecil (born 1904) and John Harold (1904). Edward had done very well for himself, climbing the social ladder from labourer’s son to Wesleyan minister. He started out as a minister in 1888 with a year of training which was followed by three years as a missionary in Demerara (modern day Guyana). Back in the UK he spent a few months in Cardiff before being given his first appointment to a ‘circuit’ (Methodist chapels were grouped into circuits – a minister might have special responsibility at one chapel but would preach all around the circuit). He served as minister at Preston, Leyland, Hartlepool, Horbury and Bradford before moving south to Kingston upon Thames in 1902. More postings in the south (Surbiton and Reading) were followed by a move back to the north (Shipley and Leeds). Having such a peripatetic life made it hard to provide a steady education for his children, but there was a solution – Kingswood School for the sons of Wesleyan ministers in Bath. Alfred attended Kingswood as a boarder until 1910. While there he excelled in Latin and Greek and won prizes in 1908 (Dux prize for Latin) and 1909 (English prize). He also took part in sporting activities (rugby and cricket) but failed to progress further than his house second teams. From Kingswood Alfred went to Bradford Grammar School living with his parents in Shipley and then Leeds. Yet again he failed to impress at sports but shone as an outstanding classical scholar. The school archivist summed up a long list of his achievements at the school with the following comment: I haven't seen any other Classicist win such a sweep of firsts in his subjects, and he was nominated for so many prizes that the second place was awarded in several instances in order to spread the honours. Nonetheless, it is clear he was a very talented Classicist as well as an historian of note. Who knows what he might have achieved had his life not been cut short. Alfred passed the Oxford Scholarship examination in December 1913 at his first attempt and won scholarships locally in Bradford and Leeds to help fund his studies at Corpus Christi College. In 1914 he went up to Oxford taking rooms in the college. When war was declared in August 1914 Alfred was not among the initial surge of volunteers, but he did join the university’s Officer Training Corps. In the summer of 1915 he applied for a commission in the Royal Berkshire Regiment and was accepted. He received his commission as a 2nd Lieutenant on 14 August 1915 in the regiment’s 9th Battalion - this had become the regiment’s New Army training battalion. the Newbury Wesleyan Methodist Circuit. Meanwhile his father was appointed Superintending Minister of the Newbury Circuit at the 1914 Wesleyan Methodist Conference in June and took up the post that September. A Superintending Minister he was the senior minister in the circuit, based at the Wesleyan Church in Northbrook Street. The job came with accommodation, a very pleasant house in Craven Road, named Epworth (named after the birthplace of the Wesley brothers). Once Alfred was deemed ready for frontline service he was posted to the 6th Battalion, which he joined in France on 26 May 1916; at the time the battalion was in the line near Carnoy in France. Carnoy: Fine day - in trenches at CARNOY. Quiet day - some shrapnel on reserve Coy (D) trenches. No 12510 Pte CE Compton C - killed: 12511 L/C A Compton C wounded (shrapnel) 16685 Pte W Walker C wounded (shrapnel) 2/Lt A Peel joined Bn from 18th Inf BD & posted to C Coy. 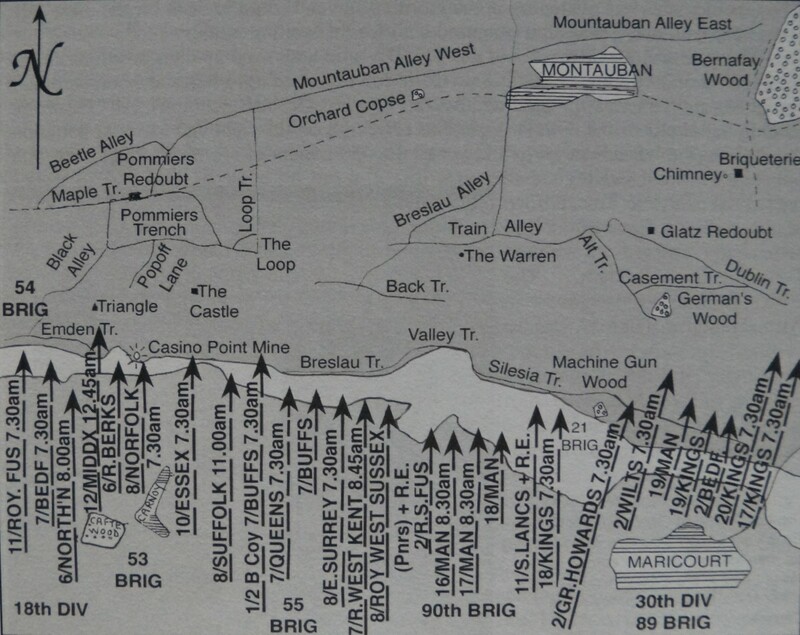 The ‘18th Inf BD’ was the 18th Infantry Base Depot – such depots were staging posts for men on their way to the front; in 1916 each depot operated on behalf of a number of regiments feeding men into all their battalions at the front according to need. The 6th Berkshires was a battalion within 53rd Brigade, 18th Division; this division was led by one of the most forward thinking commanders on the Western Front, Major-General Ivor Maxse who made sure his men were trained in the most up to date tactics – despite being a raw New Army division events would prove that the 18th Division was as good as it got in 1916. As a 2nd Lieutenant Alfred would be expected to command a platoon of around 50 men in battle – a huge burden to place on such young, inexperienced shoulders. Very shortly after Alfred joined the battalion it went over the top on the infamous first day of the Somme (1 July 1916). Sketch map showing the immense assault on Montauban. Each arrow represents a battalion attack by around 800 men. (from Barry Cuttell's brilliant One Day on the Somme). This is a different view of the infamous First Day of the Somme and demonstrates that the myth of universal disaster, of Pal’s Battalions mown down by machine guns, is not painting the whole picture of that day. At the northern end of the offensive several Pal’s Battalions were indeed all but destroyed in futile assaults using obsolete tactics, but, in the south, units like the 6th Berks succeeded in achieving (albeit at considerable cost) their objectives, capturing key positions like the fortified villages of Mametz and, in the case of Alfred’s brigade, Montauban. Lieut Peel, son of the Rev J Peel, of Epworth, Craven-Road, who took part in the offensive in France, has been invalided home suffering from trench fever. He was in hospital in Oxford, but since then has been at Newbury. Trench fever baffled doctors and researchers; the chief symptoms of the disease were headaches, skin rashes, inflamed eyes and leg pains. These symptoms were not unlike typhoid or influenza though the condition was not particularly serious. Most patients recovered after five or six days although prolonged hospitalisation amounting to several weeks was common. It was eventually found to be a bacterial infection spread by body lice (common in the trenches). Alfred must have had a more severe reaction to justify hospitalisation in England. Alfred returned to his unit in January 1917 (the battalion diary does not record the exact date), he became a bombing officer responsible for the training of the battalion’s bombers (grenade throwers) – the grenade was the most important infantry weapon in trench warfare; his superiors evidently had confidence in Alfred to place him in this rôle. Further confidence was shown when he was subsequently appointed as the battalion’s intelligence officer – confidence in his analytical and mental abilities as well as his coolness and courage. This appointment is only known through newspaper reports following his death – it may have been substantive, but it may also have been a temporary appointment, perhaps filling in for an officer on leave. Frontline opposite Cherisy: 2.10AM - Relief complete. Patrols sent out unable to find any of our wounded. 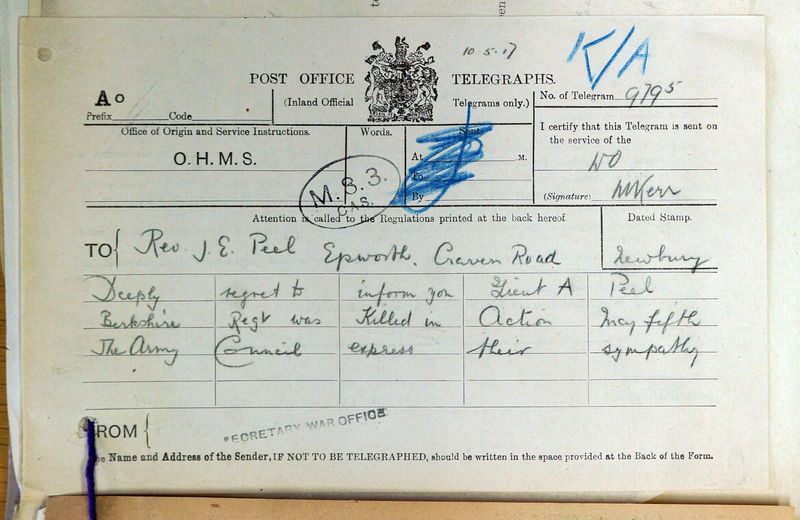 3PM - Quiet day - 2Lt AV PEEL killed by shell fire in support trench. one's death. This is the form filled in by a War Office clerk spelling out the message to be sent to Alfred's father. This was the day following the battalion’s minor involvement in the Battle of Arras. The 53rd Brigade was moved forward on 3 May in support of an attack by 55th Brigade. The Brrkshires suffered 50 casualties as they moved through an enemy barrage. Further involvement was curtailed by the failure of the 55th Brigade attack and the battalion was relieved on the night of 4/5 May. Alfred was buried in grave I. A. 20 at the London Cemetery, Neuville-Vitasse (unlike Sgt Newbery whose remains were unidentifiable and is remembered on the Arras Memorial). PEEL – May 5, killed in action in France, 2nd Lieut Alfred Peel, second son of the Rev J Edward and Mrs Peel, aged 22 years. The verse was penned by Alfred himself (A.P.). He sent several poems home which were printed in the Newbury Wesleyan Circuit magazine and was thought to show promise as a poet. If any reader of this story knows of the existence of a copy of a magazine containing one of the poems please get in touch! The Rev J Peel (Wesleyan Minister, of Newbury) with his family has been plunged into the depths of sorrow by the intelligence that his son, Alfred, has fallen in the conflict now raging in France, having been killed in action near Arras on May 5th. Before joining the Army, Lieut Peel was a scholar of Corpus Christi College, Oxford. He had a distinguished School career at Kingswood School, Bath, and Bradford Grammar School, passing his Oxford and London Matric at fifteen, and being placed first in the 1913 December Scholarship Examination for his college. He received his commission in August 1915, and went to France in May, 1916. He took part in the early stage of the Somme battle, till he was invalided home with trench fever. He rejoined his battalion in France in January, and was intelligence officer at the time of his death. His death was also marked in several other publications – from Kingswood School’s magazine to the Yorkshire Post (see the appendix below). 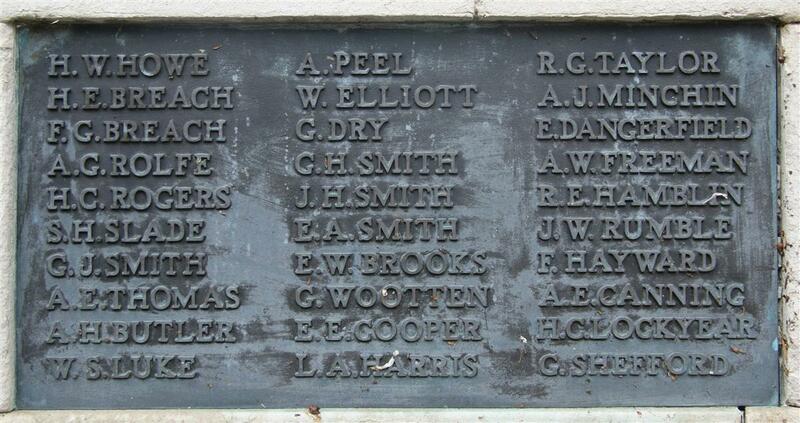 Locally he is remembered on Tablet 10 of the Newbury Town War Memorial and on the memorial in the Newbury Methodist Church commemorating the congregation’s fallen. His father had moved on before either memorial was unveiled, following the peripatetic life of a Methodist Minister. He left Newbury in 1918 for Manchester (close to his own roots) before moving on to Bodmin in Cornwall and, no doubt, other pastures before he retired in Kent where he died in 1953, aged 91. Alfred’s three brothers were named executors of his estate: Percy (who served during the war with the Royal Field Artillery on the Salonika front) was a company director, Cecil a civil engineer, and Harold a surgeon – the family had certainly moved a long way from Edward’s Lancashire working class roots. 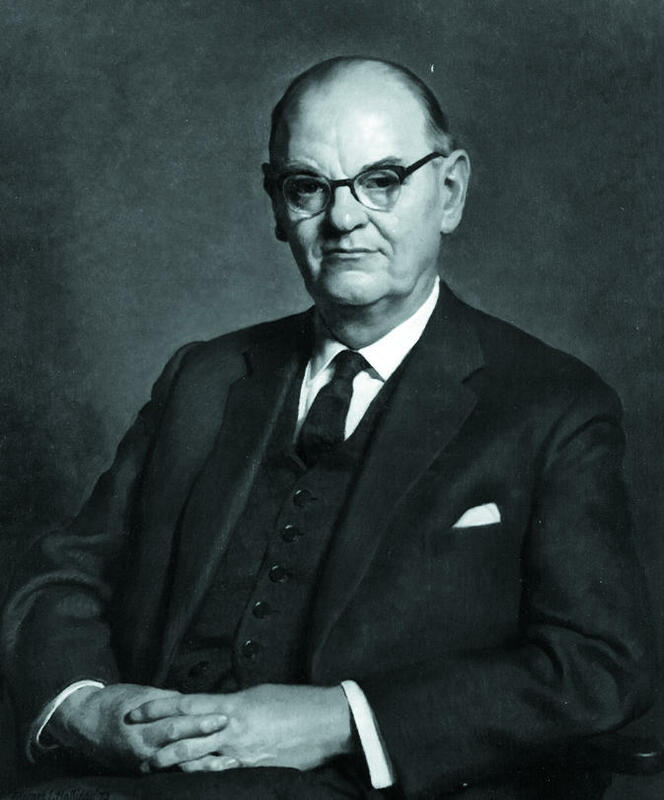 It was the youngest of the brothers whose career demonstrated this most markedly: John Harold Peel was the leading gynaecological surgeon of his day. In a long and illustrious career he became Surgeon-Gynaecologist to the Queen from 1961 to 1973 and was present at a number of royal births. He assisted at the births of Prince Charles and Princess Anne and delivered Prince Andrew, Prince Edward, Viscount Linley and Lady Sarah Armstrong-Jones. He received a knighthood (KCVO) in 1960 and died in 2005 aged 101. Thanks are due to Zoe Parsons and Kingswood School for the information about Alfred’s time there; to Nick Hooper and Bradford Grammar School Old Boys’ Association for the picture of Alfred and other details of his time at the school; to Corpus Christi College, for the information on his short period at Oxford; to John Chapman for access to his Soldiers of Berkshire database and the use of the of the Somme extract (written by Alfred?) from his account of the 6th Battalion, Royal Berkshire Regiment in WW1; and to Karen Newbery for the initial family history research. LIEUT ALFRED PEEL was the younger son of the Rev J E Peel who was once a minister in the Bath Circuit. He came to Kingswood in 1905 and proved an able boy who would have gained distinction in any school. He was the 1st in Latin in a very promising Upper 5th in which G R Kewley was first in Greek. The both obtained classical scholarships to Oxford three years later, and both have been killed in the war. But Peel left Kingswood at the end of his Upper 5th year for Bradford Grammar School, and it was from there that at his first attempt he won his scholarship at Corpus Christi Colleg. He joined the Oxford OTC when the war began and gained a commission in the 9th Royal Berks his father at the time was living at Newbury. He was invalided home after the Somme advance last year and was in hospital at Oxford. He was killed in action at Cheresy in the Battle of Arras on May 5th, 1917. The Rev W D Brash writes of him “He was a loyal member of our Church, a member of the Wesley Society and of the University Society Class. The Army had not taken from him any of his dreams. In his leisure hours he pursued his classical studies and found Homer an unfailing joy.” He was 22 years old. Alfred Peel, of Bradford Grammar School, was elected a Scholar of the College in December 1913, coming into residence in the following year. He immediately joined the O.T.C., of which he was a keen member for a year; during the summer vacation he received a commission in the Royal Berkshire Regiment. His death adds one more to the long list of promising scholars whose loss the College mourns, for he was undoubtedly a man of more than ordinary ability and character. A true Yorkshireman in type, if he was somewhat reserved in character, he yet possessed remarkable qualities of strength and judgement, which must have developed during his career at Oxford to bring distinction both upon himself and upon the College. The Rev J E Peel, superintendent minister of the Newbury and Hungerford Wesleyan Circuit, has sustained a very heavy loss by the death of his son, Lieutenant Alfred Peel, who was killed in action near Arras on May 5th. The gallant young officer had previously been invalided home with trench fever, but rejoined his battalion last January. Lieutenant Peel was educated at Kingswood School and Bradford Grammar School, where he had a distinguished career, and obtained a scholarship at Corpus Christi College, Oxford. He received his commission in August, 1915, and proceeded to France in May 1916. Fitting reference to the sad event was made by the preacher (the Rev T H Lomas) at the service on Sunday morning at Northbrook Street Chapel, and very general sympathy has been expressed with Mr and Mrs Peel and the members of their family. We had been rejoicing – with trembling but still rejoicing – over the fact that although the war had clamed so many of the men of our church, only two out of the whole number of members and adherents who were in any way connected with is at Northbrook Street had bee called upon to pay ultimate price of their sacrifice. 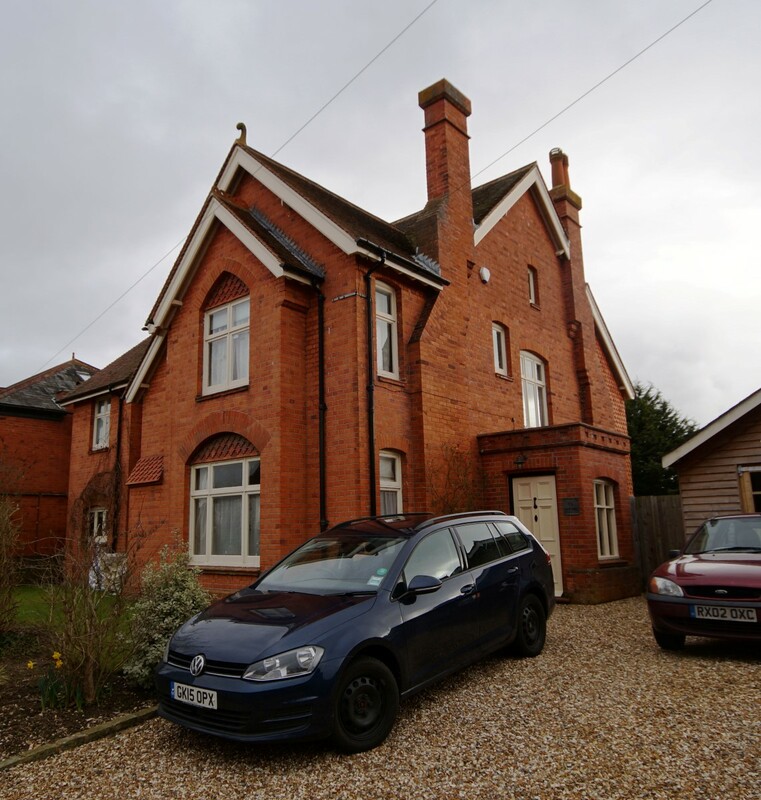 Many of the country places in our circuit have suffered most severely and quite out of all proportion to their size; but in Newbury to a wonderful extent we have escaped. And then with startling suddenness came the news that Lieutenant Alfred Peel had been killed in action at ______ on May 5th, and all hearts went out in sympathy to Mr and Mrs Peel and their family in their bitter bereavement. Naturally and unavoidably, considering how small a proportion of his time had been spent at home, Lieutenant Peel was not widely and generally known to out people. Indeed, by force of circumstances he was less a resident than a visitor to Newbury. But to those who had learned to know him the news came as a peculiarly terrible shock. Like many of the ablest men, Lieutenant Alfred Peel was quiet and retiring to a degree and absolutely removed from all self-advertisement. But he had great gifts and qualities, and may well be taken as a type of the hundreds of thousands of magnificent young fellows, the moral and intellectual flower of our country, who have given their lives in this awful war. Alfred Peel was the very last man in the world destined by nature to be a soldier. He had little of that brute courage and daring which commends the life to some men, though he had any amount of that moral courage which makes a man go steadily through a distasteful task. He never weakly asked for sympathy or appeared to expect it in the unpleasant duty which he shouldered so bravely. But it was intensely distasteful to him, and though undoubtedly the physical training and open-air life of the soldier were good for him he never really enjoyed it or did anything but endure it. He had the kindest heart. He was always thoughtful for children and animals and all weaker things. There was a good deal of the poetic temperament about him, and, like many another young and gifted man the war seemed to waken it into activity. Verses which he wrote have appeared in this same magazine initialled A.P. and show the promise of what he might have done in that direction. But essentially Alfred Peel was “the student in arms.” He had a passion for study, and was always to the end hungering to be back at it again. By his own unusual mental ability, which all his masters acknowledged, and his insatiable love of reading and power of application he carried himself to the university by the help of two scholarships he won at Bradford and Leeds. Although he was permitted to enjoy the life at Oxford for so short a time, it was entirely after his own heart, and there can be no doubt whatever that had he been spared he could not have failed to rise to distinction and win laurels at the University. But the war stopped all this, as it has stopped so much in many a young life of promise. To his great honour be it said that Alfred Peel never hesitated before the sacrifice which he felt must be made, but willingly, and with no external pressure, laid aside his books and ambitions, closed his study door and went out into the rough-and-tumble life he disliked so heartily. It was his lot to take part in both the great advances – that of 1916 on the Somme, and this spring. To a man of highly sensitive, nervous temperament, there must have been much that was particularly terrible and nerve-racking in the deadly life of a young infantry officer at the front. But what he suffered he kept bravely to himself. As a soldier, he has left ample testimony that he was valued very highly by his superiors in rank and respected and trusted by the men under his charge. This is just what we should expect, for soldiers of all men are very quick to recognise a straight man when they see him. Of the inner religious life of so reticent a nature it is almost an intrusion to speak. But it must be said that Lieutenant Alfred Peel was a man who very truly had the fear of God before his eyes, and from letters which he has left behind it is clear that upon one and another of his men he had a strong influence for good, and was in the habit at quiet times of speaking of deeper things. And now, like many another, he has paid the price of his sacrifice and devotion to duty with his life, and with thousands in our country and all countries we are asking, “Why this waste?” To-day we stand too near the world-wide tragedy to be able to lift even the fringe of the curtain of mystery. Indeed, it is to be doubted if a whole answer will ever be forthcoming in this world. Yet mercifully for our comfort ever and again, we seem to see a faint glimmer of a partial answer to the problem. Certainly we are all beginning to entirely re-value life and to understand dimly as we never understood before the essential part sacrifice has been ordained to play in the economy of God. And though it is blasphemous to class our Lord’s supreme sacrifice with any lesser human sacrifice, however great, yet to many the generous outpouring of the finest young life, which we have been called upon to witness during the last three years, has thrown a new and most illuminating light upon this great mystery of sacrifice, transforming a theological fact, an article of our Creed, into a warm, pulsating, living reality. And such great words as “He was wounded for our transgressions. He was bruised for out iniquities, the chastisement of our peace was upon Him, and with His stripes we are healed” take on a vivid, almost painful significance. And we feel after all that in some mysterious way this apparent waste, this suffering of the innocent, this slaughter of the best, cannot be a hideous mistake, since it is inextricably bound up in the very heart of things by God Himself. Lieut Alfred Peel, Royal Berks, who was killed in action on May 5, was the son of the Rev J E Peel, who three years ago was stationed in the Hunslet Wesleyan Circuit, Leeds. Lieut Peel received his commission in August, 1915. Seven months later he went to the front and after some severe fighting he was the only officer of his company left. He broke down with trench fever and was invalided home. On recovery he was made bombing officer, afterwards becoming intelligence officer. Lieutenant Alfred Peel, Royal Berks, killed in action on May 5, was the son of the Rev J E Peel, who three years ago was stationed in the Hunslet Wesleyan Circuit, Leeds. It is computed that there are about 600 old boys of Kingswood School in the naval and military services. Over 60 have been killed, and among the officers who have fallen recently are Second Lieut R B Bayliss, Manchesters; Second Lieut H V Day, Royal Fusiliers; Capt E C Gray, Manchesters; Second Lieut O A Hodgson, Northumberland Fusiliers; Second Lieut R F Lockhart, London Regiment; Lieut E E Parsons, MC; Lieut Alfred Peel, Berkshires; Second Lieut J T Taylor, MC, Lincolns; and Lieut W A Wildwood, ASC.